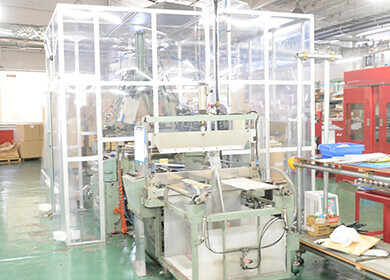 Iwaki makes a wide range of products, chief among them plastic trays and packaging containers. 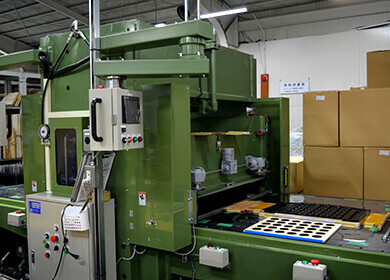 The trays and packaging containers we manufacture meet customer needs in every field and application, including optics, electrical and electronic components, precision devices, medical products, and vehicle components. 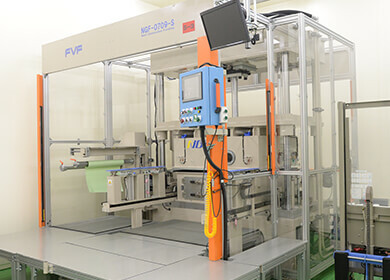 It would not be an exaggeration to say that the quality of our plastic products, created using technologies such as vacuum forming and injection molding, is entirely dependent on the precision of the molds used in the manufacturing process. Mold mistakes of even just a few microns would impede product manufacturing. Molds are the linchpins and lifelines of Iwaki products. This is why we never outsource our mold fabrication. With our integrated in-house system we handle everything from planning, design, and mold fabrication to product manufacturing. 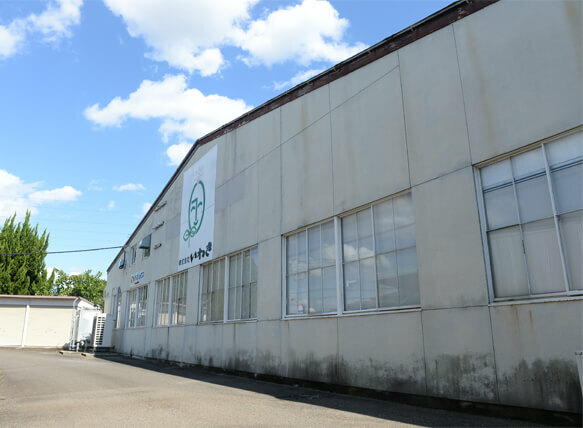 This segment is a vital one that serves as Iwaki's foundation, so we are constantly introducing the latest technologies and actively engaging in facility investment. 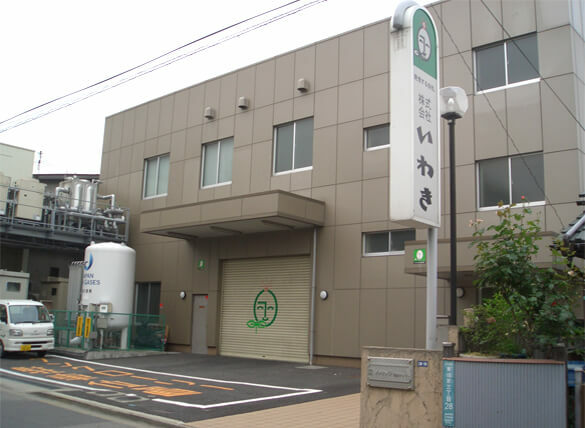 The Iwaki Development Center, located in Kawaguchi City, Saitama Prefecture, is home to machines costing around 50 million yen apiece. 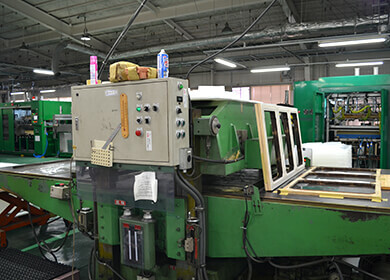 Iwaki was the first company in Japan to introduce some of these machines featuring the latest technologies. We currently use the following machines. 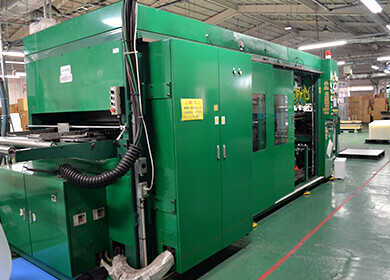 We have begun producing five axis compound machined products using our mold fabrication machining centers. 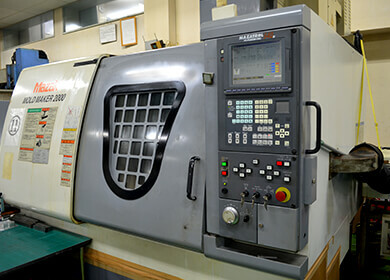 Machining centers, made up of three sliding axes (the x, y, and z axes) are, due to their mechanical structures, only capable of machining objects from above. 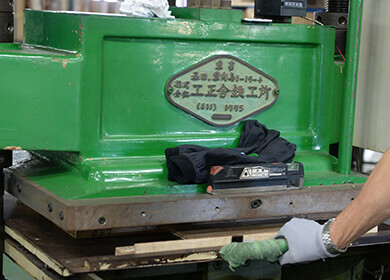 Performing processing from complex angles requires the creation of a jig for holding the workpiece at an angle, and repeatedly detaching and reattaching products. However, five-axis machining centers make it possible to approach workpieces from any angle. 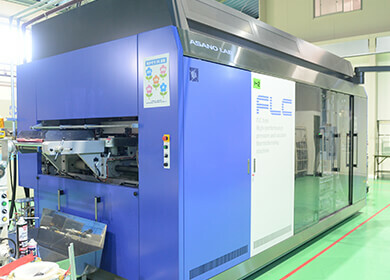 Furthermore, the entire production process can be carried out without repeatedly detaching and re-attaching workpieces, reducing precision variation between products. It also requires fewer jigs, making it possible to eliminate processing steps. Five-axis compound machining can be performed on aluminum, SUS (stainless steel) and brass (talk with us about other materials). 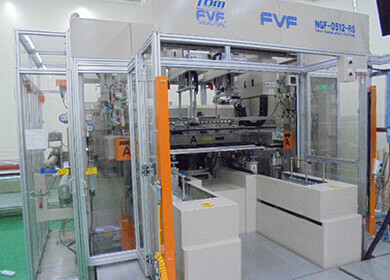 We also provide high-mix, small-lot production of lots as small as a single product. 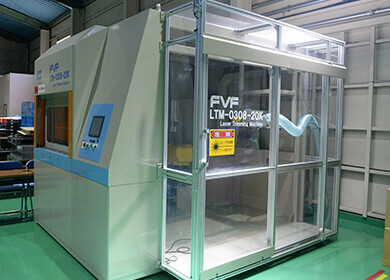 Workpieces requiring end face machining can be up to roughly 200 mm in length, and workpieces which do not require end face machining can be up to roughly 700 mm in length. Workpiece diameters can be anywhere from 6.0mm to 145.0mm. 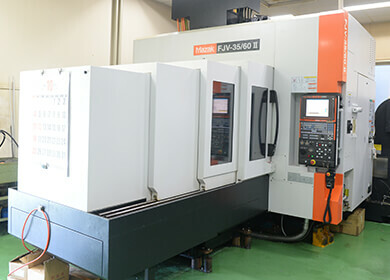 Iwaki uses a five-axis lathe-based Yamazaki Mazak "INTEGREX100-IVS" compound machine. 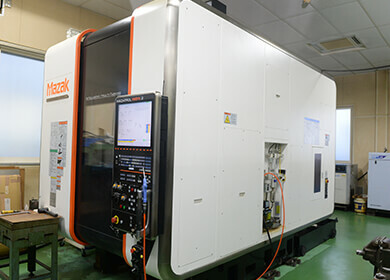 Workpiece top machining, side machining, bottom machining, internal diameter cutting, and the like can be performed with a single program, without ever needing to detach the workpiece. 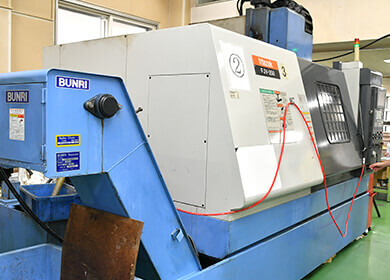 It is capable of both turning and machining processes, so it can easily process workpieces with complex shapes and products requiring indexing or other position accuracy processing. Feel free to contact us about what we can offer. 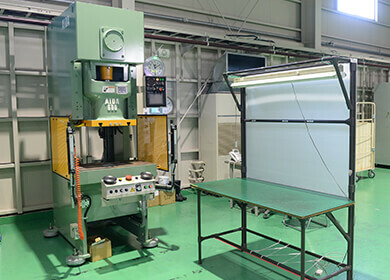 We use these machines not only to create molds for vacuum forming and injection molding, but also for the manufacture of lathe machined products and cut metal products such as jigs. 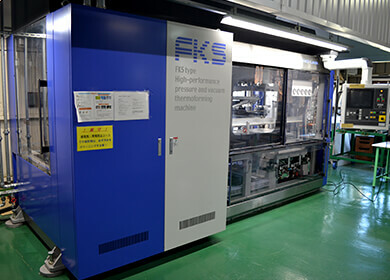 CAD/CAM, Machining center, forming machine, etc. 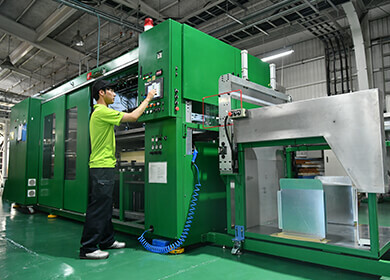 At north kanto plant, we form trays and we can control our quality and delivery time as we desire. 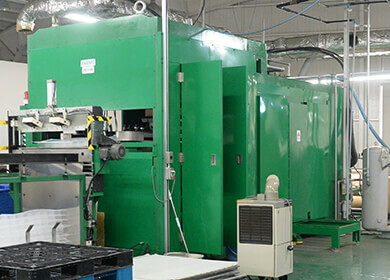 We are equipped with vacuum forming machines and press machines.